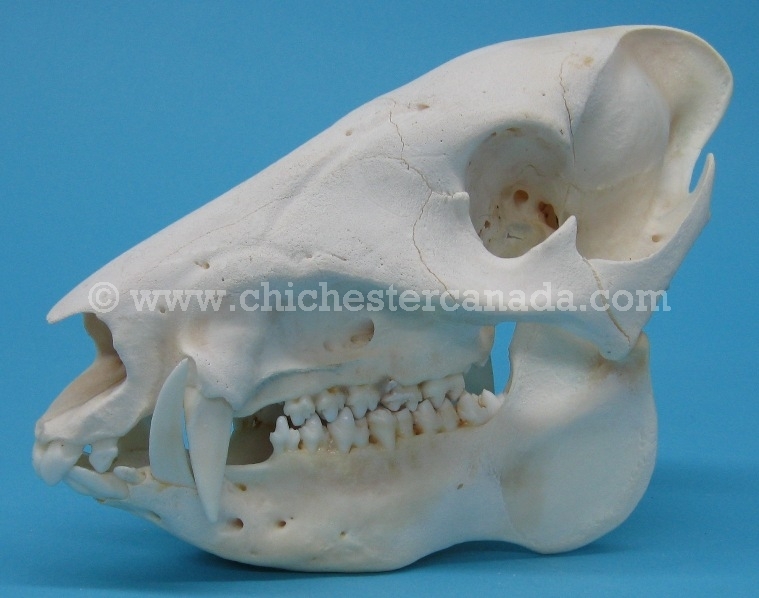 These are real javelina, also known as collared peccary or musk hog, skulls. They are a form of wild pig. They are approximately 9" (23 cm) long, 4.5" (11.5 cm) wide, and 6.5" (16.5 cm) high and weigh between 0.7 to 1 lbs (0.3 to 0.45 kg). 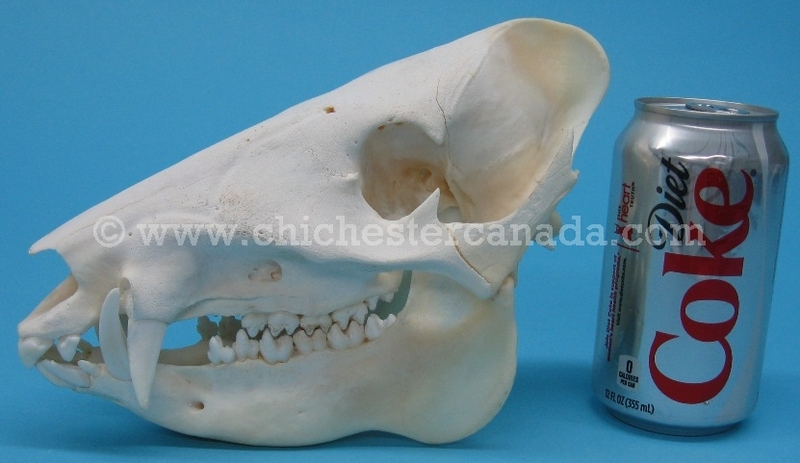 See the gallery below for available skulls. Javelina are not endangered and are not subject to CITES controls.